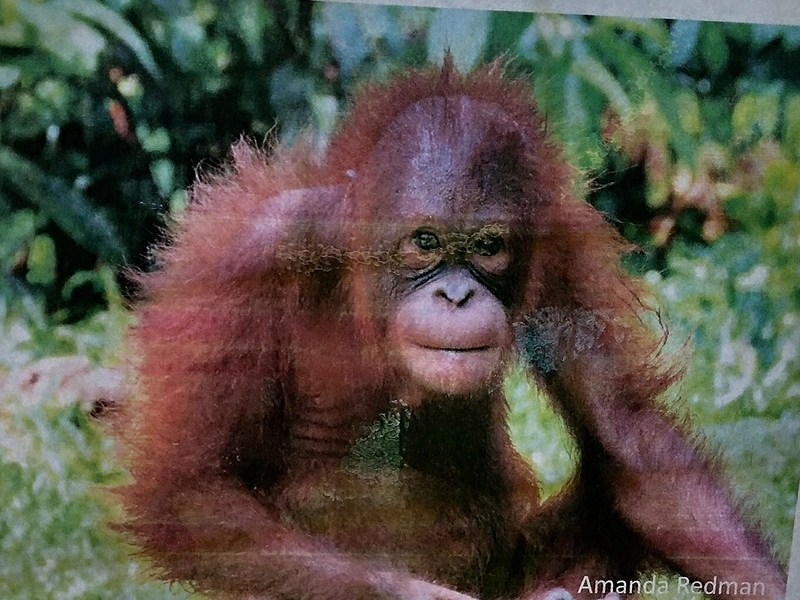 Week one; hands on with the orangutans, was a very exciting time. We had been cooped up in our guesthouse under “quarantine” for seven days and we’re starting to go stir crazy. Although we had gone into Sandakan to buy some groceries and wellies that we will need for work, as well as tour the local sights (a Chinese temple, prisoner of war memorial and the local market), that was it for a week, so we were grateful when the day came that we were actually here for. My first rotation was husbandry. This is basically working with the orangutans who are nearly ready to be rehabilitated back into the wild which means there are times when we have to exert some tough love with them. In the wild, humans are orangutans biggest enemy so we can not give them the cuddles and affection that they (and most of the time we) want. We need to be firm, shout our commands of “jalan” (walk) and “naik” (up). The orangutans that stay in the outdoor nursery; currently Beryl, Chiquita, Etimban, Boogie Boy, Gellison, Kolapis and Kala, are on a gradual program of weaning them away from this security blanket. Chiquita, Kolapis and Beryl have only recently moved over from the indoor nursery and clinic where the babies are and so they are called in every night (if they want to come in, if they wish to stay out in the jungle they are allowed) whilst the others are only allowed in once or twice a week as we attempt to get them used to staying in the wild. Daily jobs consist of collecting and washing fruit and vegetables to feed the orangutans on the feeding platforms, mixing milk and electrolytes and feeding them their drinks, cleaning the clinic, nursery and kitchen, taking the orangutans out to the outdoor nursery and jungle (you have to hold their hands at this point… tight! Believe me), ensuring that they climb and remain off of the ground as the younger ones are susceptible to parasites that they can get from the jungle floor. I know it’s common knowledge how intelligent these animals are but sometimes, you really have to see it to believe it. 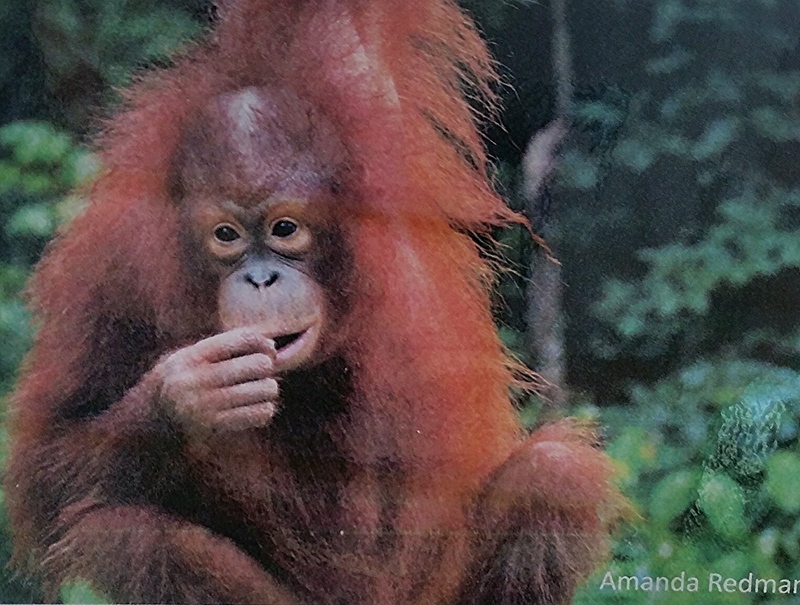 Day one and Amoy (one of the rangers), tells me that Chiquita has two locks on her cage as she knows how to unlock them. “Okay” I said mentally preparing myself as I approached her. I swear, she looked me in the eye as if challenging me and undid the top lock faster than I could undo the bottom, before I knew it she was off… orangutan on the loose! But we managed to get her hand and walk her out to the rest of them outside. That afternoon, the rangers were cleaning inside. Now you have to understand the relationship the rangers have with them compared to us. 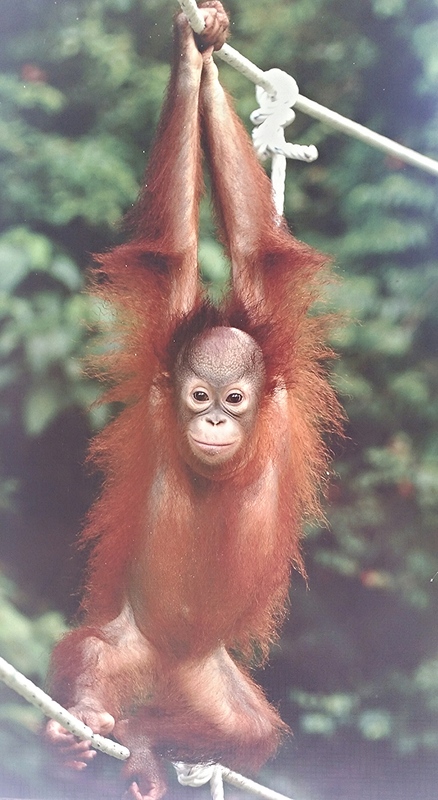 We shout “Jalan” in our best ‘teacher is angry’ voice and they look up at us and drag there hind legs, we shout “Naik” like an angry parent and they continue to roll on the floor… the rangers take one step towards them and they’re walking with ease and up that tree faster than you can say “ginger ape”. So, no ranger, afternoon one. Madness ensued. Chiquita is up the hill, clambering over the tourist building and swinging from the bars, a wild orangutan has come in and overturned the food bucket; papaya in mouth, cabbage on head and bananas all over the floor, and the rest of our little team are all rolling around together on the floor, the only place in the centre they AREN’T allowed whilst we all stand by helpless! Week one was a little chaotic. We experienced bites and bruises, stolen gloves and stolen cleaning implements, Beryl wanting to come back in half an hour before it was time everyday, Chiquita running over the tourist building more times than I can count, wild orangutans (including a mother and new born baby), semi wild orangutans, a naughty tree (like a naughty step but for apes), Gellison with diarrhoea, Etimban not going in overnight and greeting us at the baby nursery (a sight that wouldn’t be unwelcome apart from the fact that he weighs over 20kg and refuses to Jalan so we have to carry him back to the outdoor nursery for feeding time and it’s a long old bloody way to go ape in tow!) And let’s not forget Ceria. 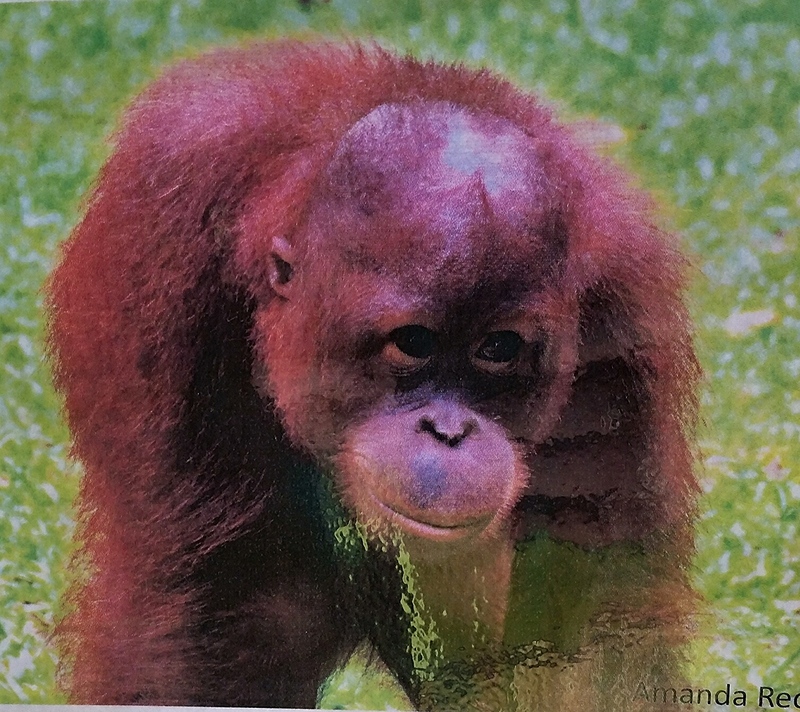 Ceria is not a resident orangutan in either the indoor or outdoor nursery anymore as he is too old. 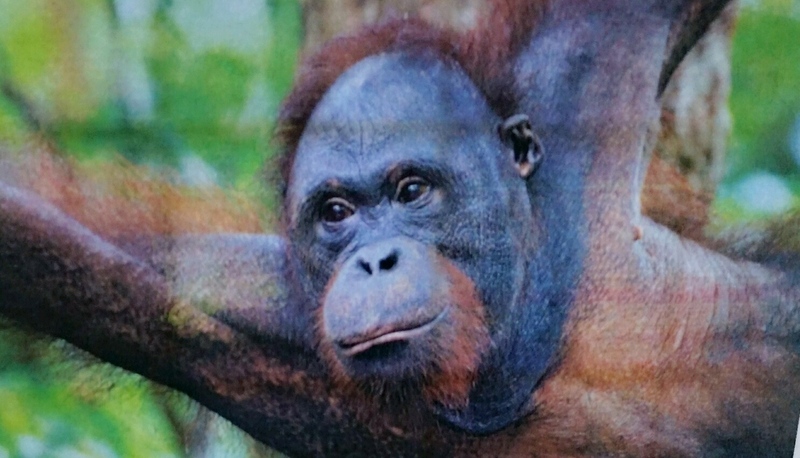 He was rehabilitated but he spends a lot of time back at the centre and he terrorises everyone, human and orangutan! He is very naughty and intelligent and the two make a lethal combination. 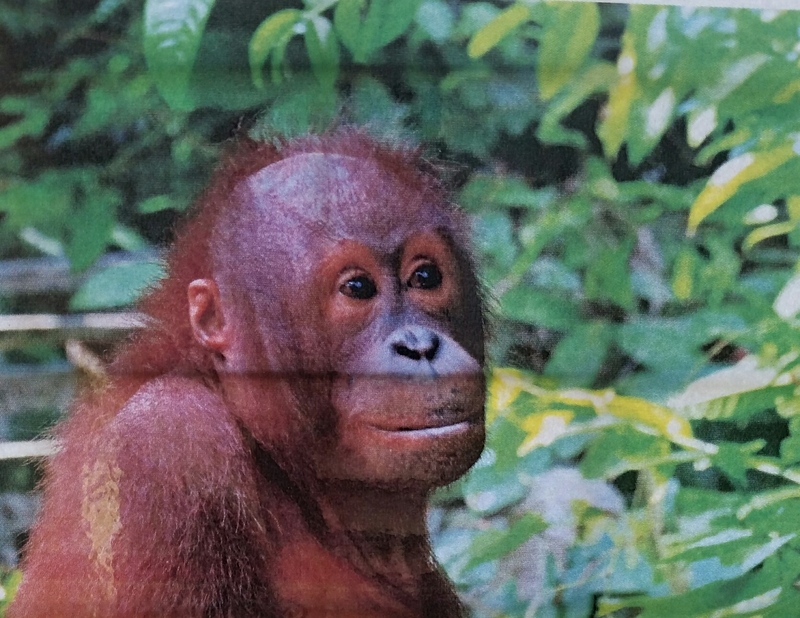 He prefers not to go into the jungle too much as he is not a dominant male there due to being only about 8 or 9 years old and apparently sometimes the wild orangutans can be mean to him. At Sepilok, he rules the roost and he knows it. Ceria comes your way and people warn you. 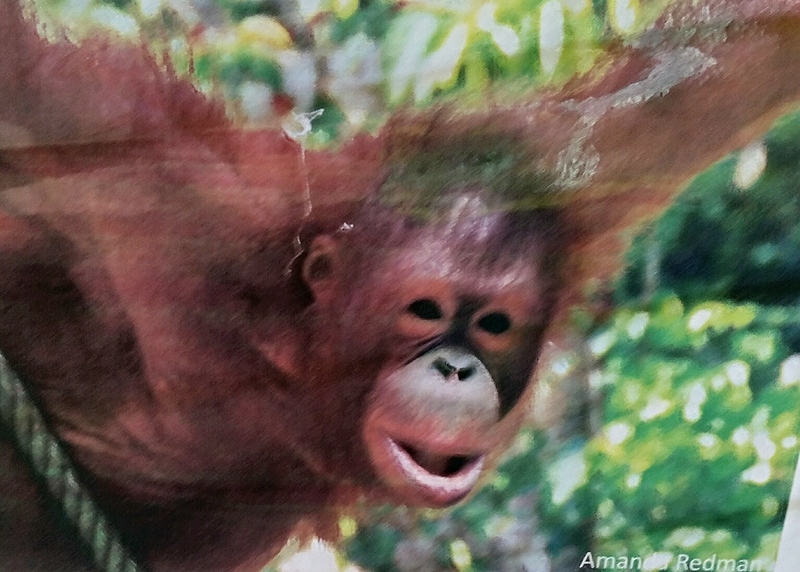 Ceria gets to the feeding platform and the orangutans scatter. He loves it. He also loves standing on his hind legs in such a human way that he looks like something out of the new Planet of the Apes movie. I honestly wouldn’t be surprised to see him on horseback brandishing a machine gun as in that scene where they wage war against the humans. He’s beautiful, but I’m wary! Photo’s courtesy of Amanda Redman. congratulations on your fortitude! Amazing insights, thank you for sharing.